eBay Suspensions General issues related to eBay Suspensions. Mostly geared towards eBay.com. I'm expecting to buy this eBay Stealth and was wondering if it is worth of buying? I'm thinking this because I'm not from US, so does it's work worldwide or just US? Last edited by aspkin; 03-20-2018 at 11:48 PM. I personally 100% recommend the Stealth Book. 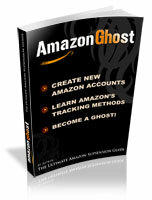 You won't find a more knowledgeable book on how to get back on ebay and Paypal and stay there. After you get it we are all here to answer your questions if you have any. Yes...the book works Worldwide. Plus after getting it you will become a Subscribed Member of this forum. I bought one about a week ago and it is hands down the most knowledgable book for ebay and paypal users, even if your not suspended its good to have a back up plan. I however was suspended so I got the book followed the instuctions, bought an account from lakeman and BAM! I was right back on. YES LISTEN TO THE GUYS ABOVE, ITS WORTH IT! The wealth of info in the guide is worth it no matter where you live and will be of use if youre trying to get back on ebay/paypal fast. YES! This book works, but you have to have realistic expectations. I am not going to tell you it is going to make you a 40,000 point powerseller, because at this point it won't. The truth is, the ONLY way to stay fully on Ebay forever is to have a valid SS number. Once you hit a certain number of dollar sales you will get limited, and its going to be a 50/50 shot you get back on. I would count alot lower for you since you are overseas. But, by following the steps in the manual you should be able to create a good standing account that will work for a decent time as long as you respect it. Things have also changed now with this new ID verification through ebay. If you want to sell successfully on ebay, then but the Stealth Book. Period. Yes the Stealth Book is worth it. I'm expecting to buy this eBay STEALH and was wondering if it is worth of buying? The answer is a resounding YES! The information that can be found within its pages are invaluable. For the $30.00 investment ive made thousands of dollars off that book.Plus its interesting to read.BUY THE BOOK!!!!!!!!!!!! The $30 investment which one got for free using trialpay set their life on a way better journey than where it was headed previously. eBay Stealth work for canadians? As long as you can read English, unsure if Aspkin has released the Stealth Book in any other languages? LMAO...but those Canadians are lucky! NO SSN! how long does it usually take to set up your first stealth account? How many times can you vies the book with your key? Lol, no if you don't read English you're SOL. Last edited by aspkin; 01-13-2010 at 04:38 AM.